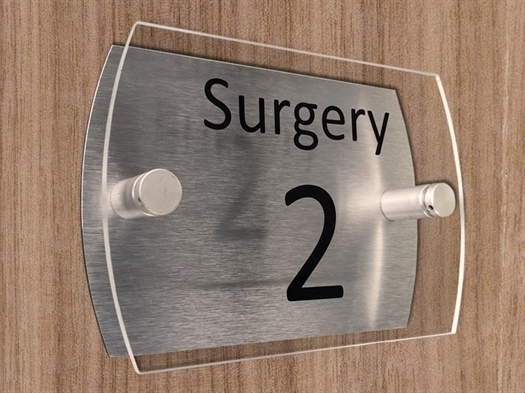 Prestige clear Acrylic Surgery or Door Signs. Made to be safe in the surgery environment. Text in any of our 18 colours or to match your surgery colour. These Prestige door and room signs are made to work well in most locations.. They are simple, clear and smart and they offer good value for money. Designed to work in most admin and office areas these signs will look good for years to come.